Since finishing my animation sequences for the last Kayosoul video (see it here) I’ve been itching to take on my own fully animated music video (preferably under 3 minutes and take less than 3 months to complete). I haven’t come across the right project yet but in the meantime I’ve been exploring ideas about music, style and image – and came across Tamara De Lempicka and was struck by how imposing and evocative of a certain period, style and music her images are. So I dived in and had a go at my own (much more cartoon-y) versions of singers Ebony Bones and Ghostpoet influenced by Lempicka’s style and imagery. And it made me think about my Fame Monsters project from last year, so I developed some of those images too. 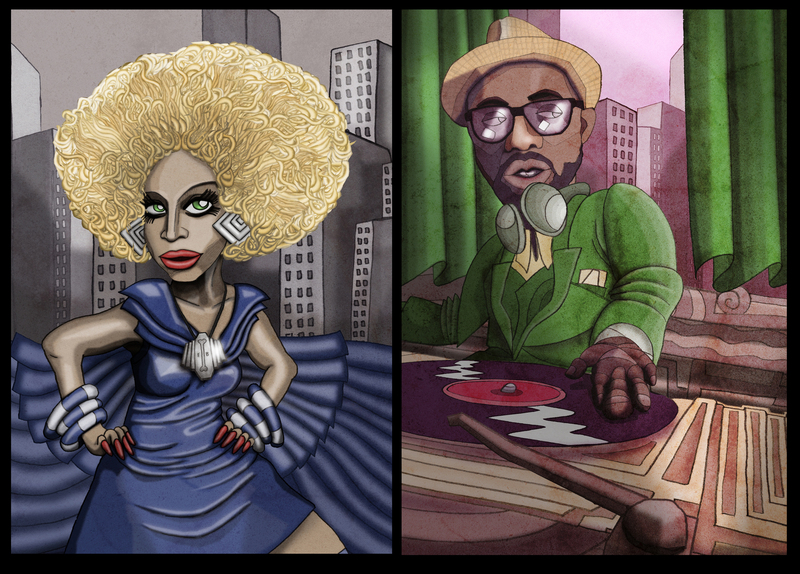 This entry was posted in Illustration, Music Video and tagged Ebony Bones, Ghostpoet, Kayosoul, Lempicka, Music Art, Music Video. Bookmark the permalink.